Also, please see JMM’s resources on sexual abuse. Brushfires: Helping people discover and live out God’s design for sexuality and relationships, and equipping transformed people to spark change by serving others. L.I.F.E. Recovery: L.I.F.E. 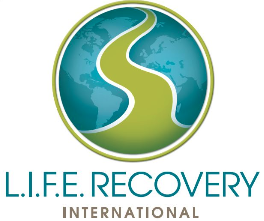 Recovery International has helped free God’s people from sexual addiction since 2000, using their proven resources and model for addiction recovery. Resources are available in English and Spanish. And a directory of support groups are available on their website. Proven Men is a ministry with a vision of guiding 1 million men in the journey of gaining and retaining sexual integrity. Proven Men recognizes that the church should be the leader in spiritual growth and maturity. Therefore, the mission of Proven Men is to partner with individual churches by providing a proven Biblically-based turn-key system, including curriculum, interactive small groups, videos, training materials, conferences, and other resources. Pure Intimacy: Pure Intimacy is an online ministry of Focus of the Family devoted to the biblical truth that human sexuality flows from the image of God that we bear as male and female and is a good gift from God. The goal at Pure Intimacy is to present to others the healing and transformation found in Jesus Christ. Pure Life: Pure Life serves Christian individuals and organizations dealing with sexual sin by providing biblically based counseling, teaching materials and a public speaking ministry with the goal of leading Christians to victory over sexual sin and into a deeper life in God. Sexual Wholeness: Sexual Wholeness, Inc. is a non-profit organization dedicated to training Christian therapists and ministry leaders to unveil God’s truth about sexuality and bring healing. In the midst of distorted values, unfulfilling marriages and confused single adults, we believe that God has a sexual plan that promotes integrity, maturity, and passionate intimacy. We desire to partner in cultivating a sexually healthy Church through articles, books, research, networking, workshops and classes that are tailored to specific populations and needs..